Tidewater Glazing is conveniently located just off MD-295, immediately west of Baltimore-Washington International Airport (BWI). 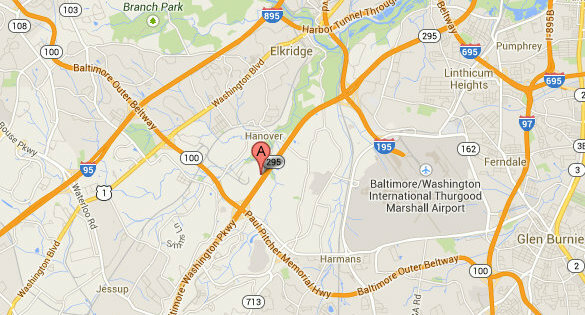 Our offices are approximately 20 minutes from downtown Baltimore, and 35 minutes from downtown Washington, DC. Our address is 7135 Standard Drive, Hanover, Maryland, 21076. You can contact us by telephone on 410.712.7300. Our fax number is 410.712.7301. For Preconstruction Assistance, contact Tony Smith. For Operations, including Employment Opportunities, contact Ray Jennings. For Accounts Payable and Accounts Receivable, contact Tom Barth. Our business hours are Monday - Friday, 7:00 a.m. - 5:00 p.m.